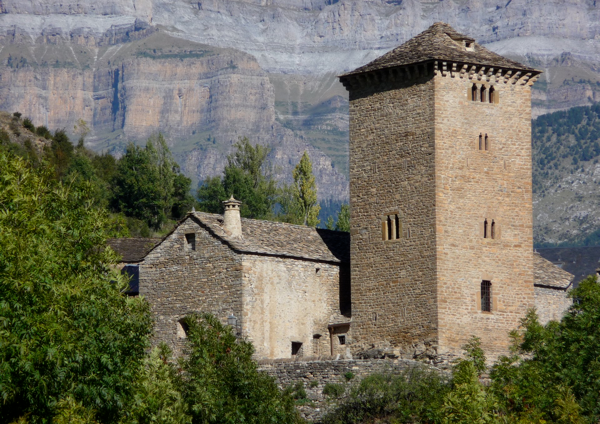 The Torre de Oto is a XV century building converted into a maximum quality country holiday house and located in the entrance of the National Park of Ordesa and Monte Perdido. Its centuries of history, the silence of the farming village protected by its Tower for centuries and the natural surroundings, make this place a unique site to rest. Its location just in the middle of the Pyrenees invites us to discover, through short trips, abandoned villages, natural fountains and waterfalls, Romanesque buildings, old paths, ancient forests, crystal clear water rivers and of course, the mix of colors offered by the changing seasons.